Mahalo nui loa to everyone who has (or will) review Aravinda Show on iTunes or has commented! Coming up in the next few weeks is Megan Elizabeth! 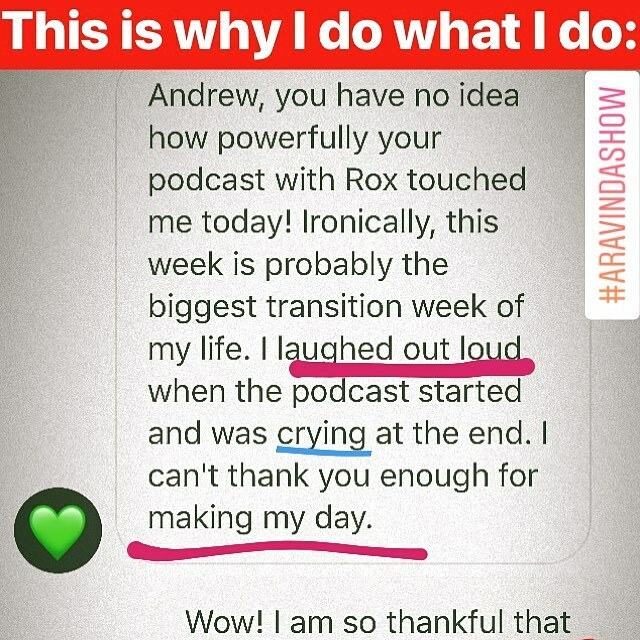 🌈 But until then, have you listened to my interview with Roxanne Darling yet? I hope it’ll make your day, like it did for the listener below. Note: The testimonial in this photo is used with permission. Always get permission!